"Herbal and other plant-derived remedies have been estimated by the World Health Organization (WHO) to be the most frequently used therapies worldwide." [CDC] Now, that's saying something. Let's explore five herbs you should really be growing for their medicinal properties. I've focused this list on easy to grow and use herbs. One comment I get from readers occasionally is that there's lots of general information about herbs, but info about easy, practical applications for those plants are sometimes thin on the ground. If there are already plenty of demands on your time, the idea of spending a couple of hours in the kitchen preparing your own moisturizing lip balm may seem a bit ambitious. Brewing a five minute tea to help you get a better night's sleep might be just the thing to turn you on to the world of herbal remedies, though. There isn't much point in growing an herb if you can't find good ways to enjoy it. Each item here includes a few of the maladies that particular herb can treat, as well as at least one simple recipe or recommendation for a specific medicinal application. Think of it as a basic herbal first aid primer: fast, easy, effective -- and pretty fun when you think of how useful you can make your herb hobby with a little snip and prep. Ginger has a wonderful aroma and tastes great in Asian cooking. Ginger root will also settle an upset stomach. It's so effective it is sometimes recommended to treat the nausea experienced by chemotherapy patients. Many experts also recommend it for motion sickness. In fact, some cruise ships routinely offer crystalized ginger at meals and as a general aid to guests in the process of acquiring their sea legs. 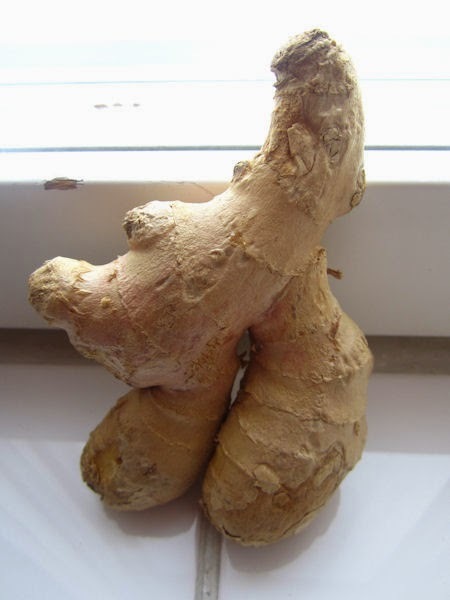 Crystalized ginger is a tasty treat, but you can also get the benefits of this tuberous rhizome in a fast, simple tea. Thinly slice or grate a 1/2-inch piece of ginger into a cup. Add 8 ounces of boiling water. Let the concoction steep (sit undisturbed), for five minutes. The tea can be sweetened. Ginger is easy to grow outdoors in temperate climates. It likes shade and moisture. Humidity helps, too. If your area gets frosty or downright cold in winter, dormant ginger can be overwintered indoors, or a batch of chubby root can be harvested in fall. Ginger root can be preserved indefinitely in a jar filled with Sherry or white wine and stored in the fridge. Just wash, peel and slice roots into manageable pieces first. That way you'll have a ready supply of homegrown, medicinal (and culinary) ginger all year. 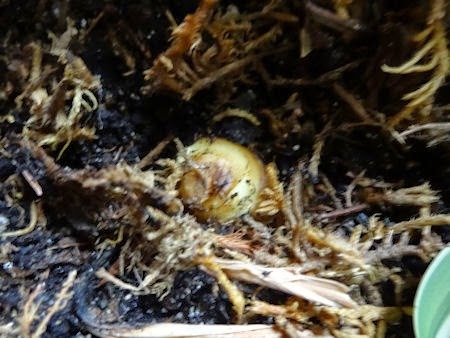 You can also start ginger by planting produce department ginger root in spring. Although some commercially available culinary ginger is treated and will not sprout, I haven't had a problem getting mine going. If you have, try ginger from small Asian or other specialty or gourmet markets. Their products are often supplied by organic growers. The next time you have a sour tummy, try a little ginger tea. If you find it effective and want a slightly more challenging recipe, make your own crystalized ginger. It isn't that difficult. 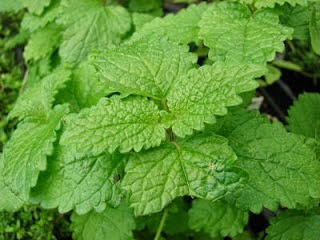 Lemon balm is actually one of my favorite herbs. It is also one of the top three herbs used as sleep and relaxation aids. A member of the mint family, lemon balm is a frost hardy perennial that grows like a weed, so you won't have trouble getting it acclimated to your garden. Since it grows in profusion, you'll also have plenty to share. Some herbalists call lemon balm "herbal valium" because it can help dial stress down to manageable levels. For sleep, it may not have the powerful punch of some herbs, but it will take the edge off, allowing you to relax naturally. Lemon balm is often used in combination with other sleepy time herbs like valerian, chamomile, passionflower and lavender. Of them, valerian root is the most potent, but the smell can be off-putting for some and valerian can cause drug interactions. A relaxing tea made with lemon balm and, say, chamomile is just the thing, though. Add sugar or honey as needed. For a more concentrated and effective brew, cut back to one tablespoon lemon balm, and add one teaspoon dried chamomile blossoms and one teaspoon dried passionflower leaves. (Double the last two ingredients if using them fresh.) Both organic chamomile blossoms and passionflower leaves are available dried through common suppliers like Amazon. A salve or cream made with calendula is handy to have around. It offers a number of other benefits when used internally, but we like it for this list because it's wonderfully effective as a skin treatment and easy to prepare. 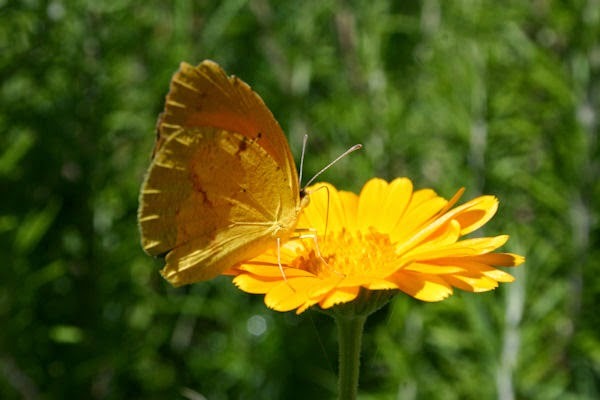 You've probably seen or grown marigold for its bright orange or yellow flowers. The flats of marigolds available from your garden supply outlet in spring are probably French marigold, not calendula. It's important to make this distinction because some types of French marigold can be toxic. Calendula is readily available from most herbs seed and plant suppliers, and dried (medicinal quality) flowers are also available online. Calendula is easy to grow in the garden. It prefers a sunny location and soil that drains well. I've included a recipe for the simplest type of calendula salve. 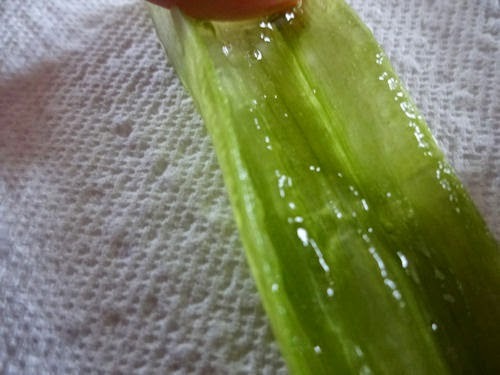 It uses petroleum jelly, an ingredient many herbalists dislike because it's a petroleum byproduct. I add it here because it's a common ingredient used in many skin care products that's probably in your medicine cabinet right now. If you make a simple calendula salve with it and like the results, you can easily produce a richer, more natural cream using oil and beeswax for your next calendula project. Add petroleum jelly to a double boiler, small slow cooker or heavy pan. Bring to a simmer and add calendula petals. Strain through cheese cloth into a small, heat resistant container with a tight fitting lid. (A canning jar works well). Combine oil and calendula in the top half of a double boiler or in a small crockpot. You can also use a large, clean aluminum can placed in a saucepan filled with water to below the level of the ingredients in inside (which helps discourage tipping). The combo will act as a makeshift double boiler, and you can discard the can later. Bring the water to a gentle simmer. Continue simmering for three hours, replacing the pan water (carefully) as needed. Cool slightly and strain the oil through a triple layer of cheesecloth, or a coffee filter, placed inside a large strainer or colander. Return the oil to the double boiler or other container, and add the beeswax. Heat until the beeswax melts. Stir to incorporate, and pour the salve slowly into a small tub or heat proof jar (like a canning jar). Store in a dark, cool location for up to six months. White willow isn't a small plant or shrub. It's a tree, and one with pretty impressive bark. 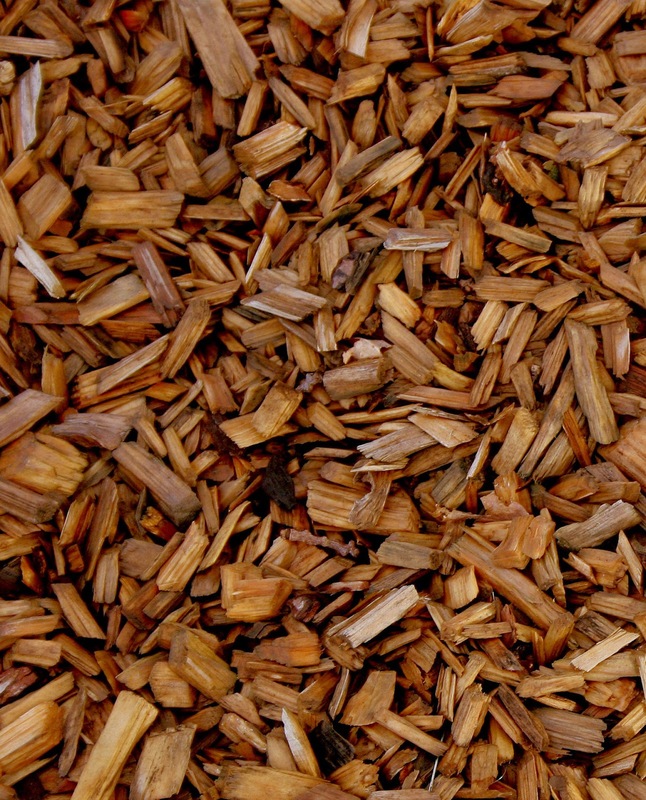 The salicin in white willow bark has been used for centuries as a pain medication. Salicin is very similar to the active ingredient in aspirin, and although the chemistry between modern aspirin and white willow bark is somewhat different, willow bark is considered an effective alternative to conventional aspirin for the treatment of common conditions like headaches, muscle aches and osteoarthritis arthritis. Some users can tell them apart by function, suggesting one or the other as being a better fit for a specific type of pain. This anecdotal information can be contradictory, so the best option is to try white willow bark yourself and see how it fits into your pain management goals. To harvest white willow, strip the bark from young branches in spring by peeling it off gently. Dry bark thoroughly in a dark, well-ventilated location. You can also use your oven, a dehydrator or even the back seat of your vehicle on a hot summer day. Break or tear strips into small pieces, and store them in an air tight bag or other container. You may not want to grow a 40 foot willow tree in your backyard to extract some bark for tea every now and then, but you might be inclined to maintain a small specimen in a largish pot, keeping it trimmed back. To see if this is something you might like to try, white willow bark is also sold as an herbal supplement in capsule form. Give it a go, and if you find it effective, grow your own. Special note: Although they are somewhat different, willow bark can cause the same stomach upsets and interactions as regular aspirin, so use caution. It is also contraindicated in most of the same instances as aspirin, including use by children. Do not take aspirin and willow bark at the same time, and avoid willow bark if you are currently taking: choline magnesium trisalicylate or asprin-like salate (Disalcid). Combine all ingredients in a non-reactive pan and bring to simmer. Strain through a coffee filter or triple folded cheesecloth. This recipe (24 ounces) is enough for three 8-oz. cups of tea evenly spaced throughout the day. Allow at least four hours between cups. The tea can be consumed hot or cold, and may be sweetened as needed. White willow (also known as European willow) isn't the only option. According to the University of Maryland Medical Center, both crack willow (Salix fragilis) and purple willow (Salix purpurea) are often included in commercial herbal willow preparations. I've chosen herbs for this post that are relatively mild but effective, easy to find, grow and use. We'll move on to some of the more complex medicinal herbs in other posts. If you give these common herbs a chance, you'll discover they really can be beneficial and convenient medicinal aids. A little hands-on use will likely inspire a greater regard for and interest in the medicinal side of herb gardening. I hope so. Although the herbs referenced above are considered safe when taken in small amounts and in accordance with accepted practices, discuss any new herbal or other treatment regimen with your physician. This is particularly important if you're pregnant (or nursing), are currently taking prescription medications or are treating a young child or the elderly. Before you embark on any herbal regimen, it's a good idea to get the most current information, too. There are a number of trusted sites online that discuss the latest research and current best practices for herbal treatments and dietary supplements. Blogs like this one show a brief snapshot, but are not meant to take the place of thorough research or the recommendations made by medical professionals. This probably sounds a bit alarmist since many herbs are common plants used in food preparation. When used medicinally, herbs are often concentrated, as in essential oils, or taken in bulk as supplements. This takes them out of the realm of minor ingredients and into territory that demands respect and caution. WebMd - Although not considered a definitive resource, this is a good place to start. Just perform a search for a specific herb. This is so informative, i would like to add one more herb in this list which is Feverfew. You can easily grow this at home and use the leaves and flowers of this medicinal herb for teas; chew leaves to ease headache pain (including migraines). It's also provides relief for arthritis, and skin conditions.